Below are some frequently asked questions adopters face. If you have further questions, please feel free to email us. We will be happy to assist you! How much time to I spend at home? Do you work long hours? Are you a student? Are there others in the home to help care for the pet when you are not home? These are important questions because some pets require more attention and care than others and some require more when they are younger. For example puppies require much more time for training, socializing and overall well being than say an older dog. Cats are generally self sufficient so long as they have access to a clean litterbox, food and water, but they still require companionship from their owners to remain healthy and happy. Smaller animals such as rabbits, guinea pigs generally require even less attention, but with any pet it is not good to leave them alone too much. If you don't have the time to commit, then it may be best to wait until you do have the time. What kind of pet can I afford? ​Some pets, such as dogs and cats, require yearly vaccinations and should be seen regularly by a veterinarian to ensure they are in good health. As pets mature they require other things such as routine bloodwork and dentistries. They also may require attention for age related illnesses and conditions such as diabetes or arthritis. Its also very important to research the breeds of dog or cat you are interested in because some are prone to certain issues more than others such as allergies, epilepsy, skin problems, behavioral, or bone and hip issues. You will of course need to factor in the cost of foods, possible fencing, pet sitters or added travel expenses should your pet travel or holiday with you. Smaller pets such as rabbits, guinea pigs, rats, hamsters etc require veterinary care if they become ill or injured, and exotic veterinary care can be expensive due to its specialty. These pets also require caging, special foods, bedding etc. What pet suits my lifestyle? Are you active outdoors? Do you like to hike or take long walks, maybe camp or go swimming? These are great lifestyle compliments for adopting a dog, specifically a younger dog or active breed. An avid hiker however would not want to consider adopting a Yorkshire Terrier or English Bulldog, but may want to consider a dog with Lab, Jack Russell, Pit Bull Terrier or even a Boxer. These breeds have the stamina and athleticism to keep up with that type of lifestyle. If you are a home body and spend a lot of time indoors, a breed or age that does not require a lot of activity would be more suitable, or you may want to consider a cat or a smaller species of pet that doesn't require outdoor exercise and activity. ​What kind of pet am I able to adopt? Issues such as allergies to certain pets, weight restrictions in condos or apartments, HOA restrictions on the types of pets and size of pets you can have, or breed and species restrictions are all things that need to be considered. If you live in an apartment, condo, homeowners' association or rent you will need to determine if you are able to have pets where you live and if there are any restrictions on the species, breed or size of that pet. You will also want to check with your municipality and state to determine if there are any restrictions on species or breed. There is nothing worse than adopting a pet and having to return them because you weren't allowed to have them to start with. Q: Will I ever hear from you again? Q: Which type of pet is right for me? First and foremost you need to find the pet or pets you are interested in adopting. You can view adoptable pets through on-line resources such as Petfinder.com, 1-800-Save-A-Pet or directly on shelter website. 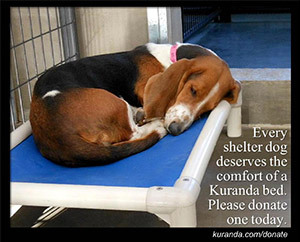 Another way is to visit the shelters first hand. This way you are able to see all the different animals up close and spend time with the ones that interest you. Here at Pike County Humane Society this allows you to ask specific questions of the shelter staff and volunteers about particular pets and in turn they can ask you questions that will help guide you on your adoption journey. Lastly, there are adoption events. Here at Pike County Humane Society we host many adoption events throughout the year. You can see upcoming events by visiting our Events Page. Now that you have chosen the pet or pets you wish to adopt it is time to complete an adoption application. The application process is designed to ask you specific questions and aid the shelter in determining if in fact the animal you are looking to adopt is a good fit for your lifestyle and home. It also allows the shelter to determine what areas of pet ownership we may want provide more information on for you. The goal of the adoption application and process is to make sure that your adoption is successful, permanent, and rewarding, for you and the pet you are bringing home. If the application is approved.....You then prepare to bring your new family member home. If they have not already been spayed or neutered, they will remain at the shelter until arrangements can be made for the surgery to be completed. You will be kept up to date on the process and when you can anticipate bringing your new pet home with you. In one simple answer - Yes! When will I hear from you and why? ​Each pet that comes in to our care is very special and precious to us. And our adopters are as well. We will contact you to ensure that the transition from shelter to home has been successful and to assure you that we are here for you and your pet if you need us. If you are having trouble with the transition or have questions about your adopted pet we can talk you through options that will help you. We can also refer you to trainers who may also be able to help. Don't hesitate to contact us! If you have any questions or concerns at all please contact us immediately so that we can assist you. Again, our goal is to facilitate permanent, happy adoptions for both the new pet owner and the pet. Q: How does pet adoption work?